Dr. Jirong Yue is an Associate professor of Medicine in the Department of Geriatrics, West China Hospital, Sichuan University. She received her BA degree from West China University of Medical Science in 1997. In 2011, she received her MD degree from the Center of Gerontology and Geriatrics at West China Hospital, Sichuan University. Dr. Yue was appointed as a Visiting Associate Professor of Medicine to serve from 9/1/2012 to 9/1/2013 at Harvard Medical School and worked with Dr. Sharon Inouye, a renowned expert in delirium research at the Aging Brain Center, Hebrew Institute for Aging Research-Hebrew SeniorLife. Dr. Yue is a member of the Chinese Geriatrics Society. Dr. Yue's research has been funded by the National Natural Science Foundation of China. She has published over 50 peer-reviewed original and review articles in geriatrics and gerontology in a number of international journals, including Journal of the American Geriatrics Society, American Journal of Geriatric Psychiatry, AGE, and Cochrane Database. 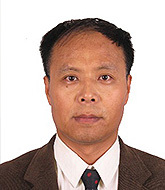 Dr. Jintang Wang is an Associate Professor of Geriatric Medicine at Beijing Geriatrics Hospital, with several research projects undertaken and multiple academic appointments such as member of Beijing Geriatric Hospital expert panel and reviewer of Neural Regeneration Research. He received his M.D. from Tongji College of Medicine, Huazhong University of Science and Technology in 1989, and his Ph.D. from Chinese Academy of Traditional Medicine in 1995. After engaging in 3 years' teaching and research work at Capital Medical University, he was trained as a postdoctoral research fellow in Department of Neuroscience, Cleveland Clinic Foundation in 1998. He returned to China and became an instructor the Neuroinformatics Center, General Hospital of People's Liberation Army, where he completed a research project funded by the National Natural Science Foundation of China. 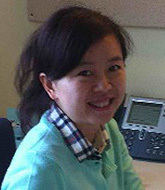 Dr. Wang's research interest focuses on the neuroinflammatory mechanism underlying aging and neurodegenerative diseases such as Alzheimer's disease and Parkinson's disease, involving the role of extracellular matrix (ECM) and the intracellular signal transduction of multiple neural growth factors and cytokines. He has employed cutting edge cell and molecular biology techniques for such mechanistic studies in nerve cell culture and transgenic animal models. He has also conducted several research programs on the elderly healthcare and geriatric management such as for geriatric syndromes including falls and sarcopenia. His research work has been funded by Chinese government including the National Natural Science Foundation and produced more than 20 peer-reviewed research papers including those published by Journal of Experimental Medicine and Ageing Research Reviews. Dr. Min Ouyang is an Attending Physician in the Department of Geriatrics, Second Xiangya Hospital at Central South University in China. She received her MD and MS from Xiangya Medical College, Central South University in Hunan Province, China in 2000. Her research interest focuses on comprehensive geriatric assessment as well as common geriatric syndromes including disability, postprandial hypotension and polypharmacy. She has been the PI leading a research project funded by the provincial funding agency in Hunan and participated in six other research projects including those funded by the National Natural Science Foundation of China, leading to over 10 peer reviewed publications. Her research work in bedridden elderly patients has won a Science and Technology Progress Award in Human Province. 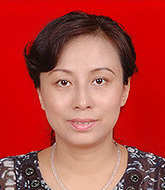 Dr. Ouyang serves as Secretary of Hunan Medical Association Professional Committee of Geriatrics. Dr. Ning is an Associate Professor of Geriatric Medicine and Vice Chair of the Department of Geriatrics at Xijing Hospital, Fourth Military Medical University (FMMU). She received her MD degree in 2002 and PhD degree in 2005 from FMMU. Dr. Ning is a Committee Member of Basic Medicine of the Chinese Geriatrics Society and a Youth Member of PLA Society of Geriatrics. She is also a Standing Committee Member of Shaanxi Geriatrics Society and Vice Chair of Youth Committee Member of Shaanxi Geriatrics Society. 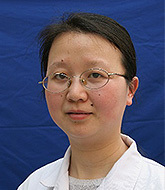 Dr. Ning's research interest focuses on the pathogenesis of gastrointestinal cancer in older adults. She has led three research projects funded by the National Natural Science Foundation of China and two by provincial funding agencies in Shaanxi. She has published more than ten research articles in SCI journals and edited seven books. 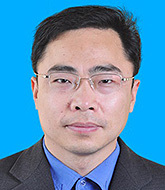 Dr. Xu Yao is a Professor of Dermatology and Director of the Department of Allergy and Rheumatology at Institute of Dermatology, Chinese Academy of Medical Sciences (CAMS). She is also the youth member of the National Conference of Chinese Medical Association of Allergy, a member of the Allergy Professional Committee of Chinese Dermatologist Association, and a member of the Immunology group of National Conference of Chinese Medical Association of Dermatology. Dr. Yao received her Bachelor of Medicine degree from Norman Bethune Medical University in 1995, Master of Science degree from the graduate school of Norman Bethune Medical University in 2000, and MD degree from Peking Union Medical College in 2004. For further career development, she had one year training in the Division of Allergy and Clinical Immunology at Johns Hopkins University School of Medicine in 2009 as a visiting scholar. 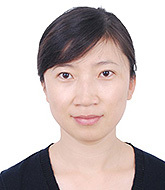 Her research laboratory has taken a multidisciplinary approach to investigate the cellular and molecular mechanisms of atopic dermatitis (AD), and her research on AD has received two awards from the National Nature Science Foundation of China. She is the editorial board member of the Chinese Journal of Allergy & Clinical Immunology and corresponding editorial board member of the International Journal of Dermatology and Venerology. 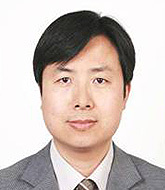 Dr. Hongsheng Wang received his PhD degree from Peking Union Medical College in 2005, and has been devoting himself to the clinical and basic research of cutaneous mycobacterial infections and Mycoses for 14 years, especially in recent 10 years of his research fields focused on clinical and basic research of cutaneous Mycobacterial infections. In 2010, Dr. Wang was appointed as Chair of the Lab of Leprosy and Other Mycobacterium Infections of the National Center for Leprosy Control (NCLC), China CDC & Institute of Dermatology, Chinese Academy of Medical Sciences and Peking Union Medical College. In the lab, he provides diagnostic support for leprosy and other Mycobacteria infections, and his basic research focus on the role and mechanism of macrophage and granuloma in host against Mycobacterium leprae and NTM. Dr. Wang was a visiting scholar at the Leprosy Research Center, NIID, Japan (from 2008 to 2009, and 2012). In addition, Dr. Wang is a member of the Standing Committee of the Chinese Society for Microbiology and Immunology-Jiangsu Branch and also is a member of the Chinese Society of Dermatology. Dr. Wang has successfully led six projects funded by the National Natural Science Foundation of China and Jiangsu Province. He has more than 50 peer-reviewed publications. In 2013 alone, three new research projects were started in his laboratory. Dr. Chang received his MD degree in 2000 from Soochow University and PhD degree in 2009 from Peking University. He is a Professor of Medicine and Hematology at Peking University People's Hospital & Institute of Hematology and Deputy Director of the Department of Hematology at Peking University. His research interest focuses on allogeneic stem cell transplantation, especially immune tolerance and immune reconstitution. He has published more than 30 articles on international peer-reviewed journals. 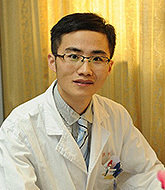 He is a vice chairman of young committee of Hematology branch of Chinese Medical Association. He is also a member of the Chinese Pathophysiological Association of Experimental Hematology and the Chinese Society of Medical Cell Biology. Dr. Liu is a resident doctor in the Department of Hematology at Xin Hua Hospital, affiliated to Shanghai Jiao Tong University School of Medicine. He received his B.S. degree from Nanjing Medical University in 2006 and his M.D. degree from Shanghai Jiao Tong University in 2012. His research interest focuses on chemical biology research in leukemic cell differentiation and apoptosis. He has published 13 scientific papers, including Nature Chemical Biology, Experimental Cell Research, etc. He has led one research project funded by the National Natural Science Foundation of China and another by the National Natural Science Foundation of Shanghai. He has also been selected as a scholar of the Shanghai Rising-Star Program (A type) and Top-notch Talent Support Program of Xin Hua Hospital. Copyright © 2019, Milstein Medical Asian American Partnership Foundation. All rights reserved. Milstein Medical Asian American Partnership Foundation is a non-profit organization recognized as tax-exempted under the Internal Revenue Code Section 501(c)(3).